Beginning with the iPhone 3GS, Apple has always introduced an all-new model every 2 years. In a tick-tock cycle, each iPhone gets an incremental update model before it gets a full refresh the following year. When most people are expecting a brand new design for the iPhone 7, it retained the same looks of its now 3-year old iPhone 6. The only major difference is a dual-camera bump on the iPhone 7 Plus and a new paint job. 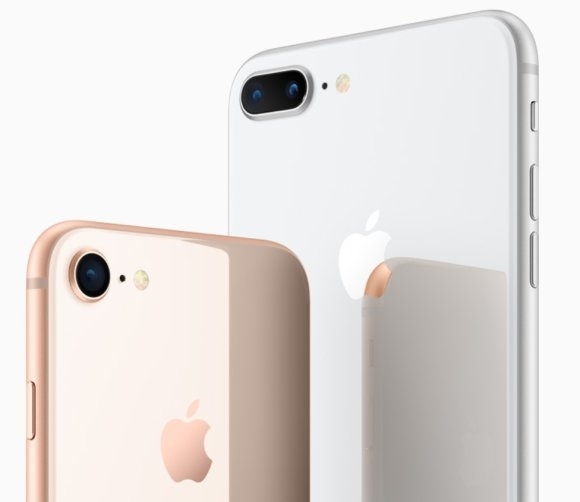 Today, Apple has announced the iPhone 8 and although it is a whole new number, it still looks like an iPhone 6 but with more glass just to support a new form of charging. That’s four years in a row with the same design. So what’s really new? Read on to find out. The fundamentals haven’t changed since the iPhone 6. You get the standard iPhone 8 with a 4.7” 1334×750 IPS screen and the bigger iPhone 8 Plus that pushes Full HD resolution at 5.5”. Both support 3D Touch and you still get the same non-mechanical Touch ID button below the screen. On top of that, the iPhone 8 gets True Tone display where it adjusts the screen’s white balance according to your ambient light. 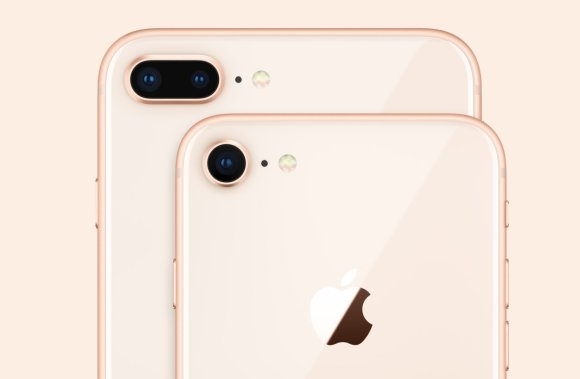 If you have a casing on, it is almost impossible to distinguish the iPhone 8 from the previous 3 models. In order to support wireless charging, the backs are made of durable glass with an oleophobic coating that’s put together with a 7000 series aluminium frame. Everything else looks familiar including the same camera bump design as the iPhone 7 family. Because of this new glass back, you no longer see the curve antenna bands running across the top and bottom of the phone. With the change of materials, the iPhone 8/8 Plus is slightly taller and wider by 0.1-0.2 of a millimetre, and both are heavier since there’s more glass than aluminium. Love it or hate it, the Rose Gold colour is gone. The iPhone 8 now comes only in three shades – Silver, Space Grey and Gold. In terms of power, the iPhone 8 is up to mark with the iPhone X with the latest hexa-core A11 Bionic chip with machine learning capabilities. In terms of battery, Apple reckons it is the same battery life as last year’s iPhones. In the imaging department, the pixel count remains unchanged at 12MP but Apple uses newer sensors which claims to have “deeper pixels”. Like the iPhone 7, OIS is standard across the range and you have a f/1.8 aperture lens for its main camera. On the iPhone 8 Plus, the secondary telephoto lens still retains the same f/2.8 aperture. You do get the new Portrait mode with added Lighting effects (Beta) which is also found on the iPhone X. This gives your portrait shots studio-quality lighting in 5 different styles. With the new hardware, the iPhone 8 can now shoot 4K videos up to 60fps and 1080p slow-mo at 240fps. 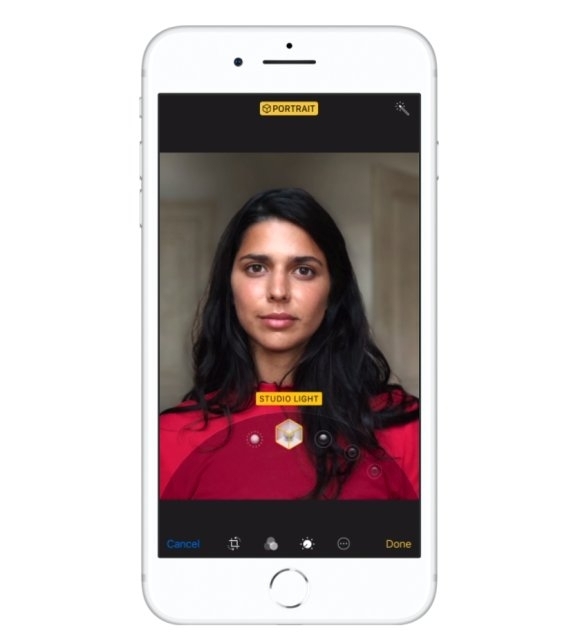 For selfies, it retains the same 7MP f/2.2 FaceTime HD camera with assisted Retina Flash. 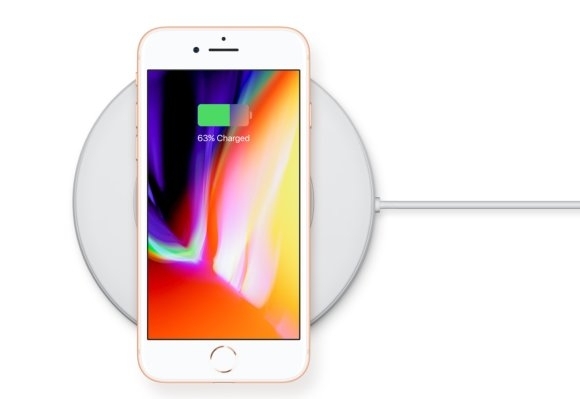 The biggest brand new feature for the iPhone 8 is wireless charging using the popular Qi wireless standard. On top of that, it also supports fast charging on cable, which is definitely useful on a larger phone like the iPhone 8 Plus. 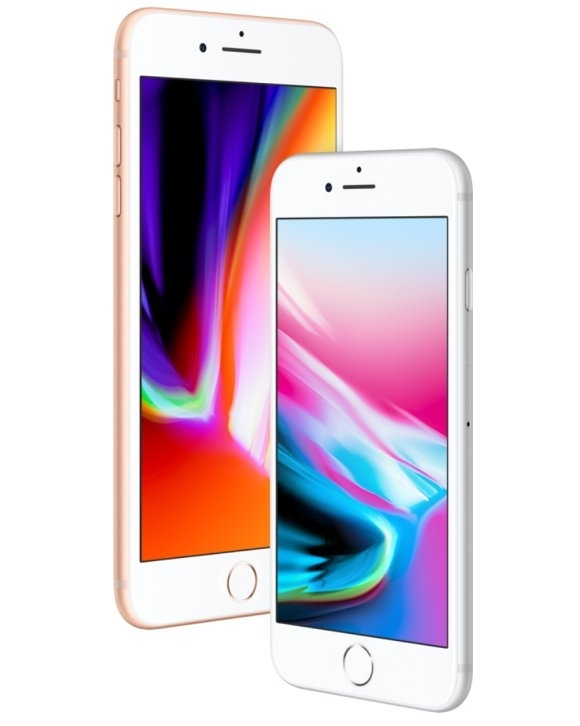 The latest iPhones do get Bluetooth 5.0 which is better for newer wireless music devices. Wrapping things up is the latest iOS 11 which brings smooth AR experience with ARKit. Once it is rolled out globally, iOS devices will be the largest AR platform in the world. 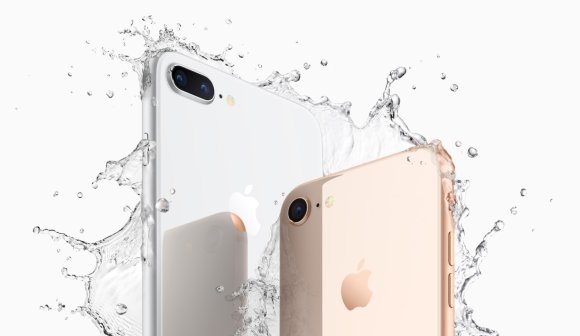 The iPhone 8 is still IP67 dust and water resistant, and its dual-stereo speakers are now 25% louder than before. For the new iPhone 8, storage now comes in either 64GB and 256GB which is double of its previous minimum storage offering. As a result, you’ll have to fork out slightly more money this time round. In Singapore, the iPhone 8 starts from S$1,148 (about RM3,584) while the iPhone 8 Plus is going from $1,308 (about RM4,083). Pre-order starts this Friday at first wave countries and it will be available on 22 September 2017. So far there’s no news on Malaysian availability but we expect it to reach our shores within the next month or so. Of course, if you’re looking for something groundbreaking, there’s the iPhone X. You can tell that Apple has spent more time on that model than the incremental iPhone 8. For that effort, be prepared to fork out a lot of dough to enjoy that 5.8″ edge to edge screen experience. The iPhone X is priced from US$999 which is at least RM4,300 and it’s going on sale in Singapore from S$1,648 (about RM5,146). You can learn more about the iPhone X over here. AD: Massive leak – U Mobile will be introducing unlimited iPhone plans soon, keep a close eye on u.com.my for something new.